100% authentic Super Brightbrand, exporting to more than 40 countries, including southeast Asia, France, UK, USA, etc. Super Bright is a registered trademark of TianShuo which is one of the largest fluorine and silicone application company in China for over 27 years. And throughout years of sales process, Ningbo TianShuo Technology Co.,LTD not only receives the good public praise but also obtains the affirmation and trust in the international market. And we can give our words here that every piece of our product's quality can be guaranteed, it deserves the price of the PTFE or silicone content! 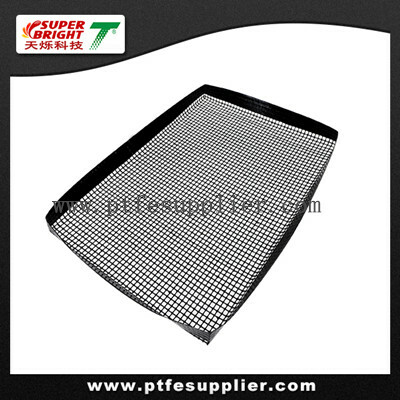 Non-stick oven basket was made of PTFE coated fiberglass mesh fabric ,non-stick suface.